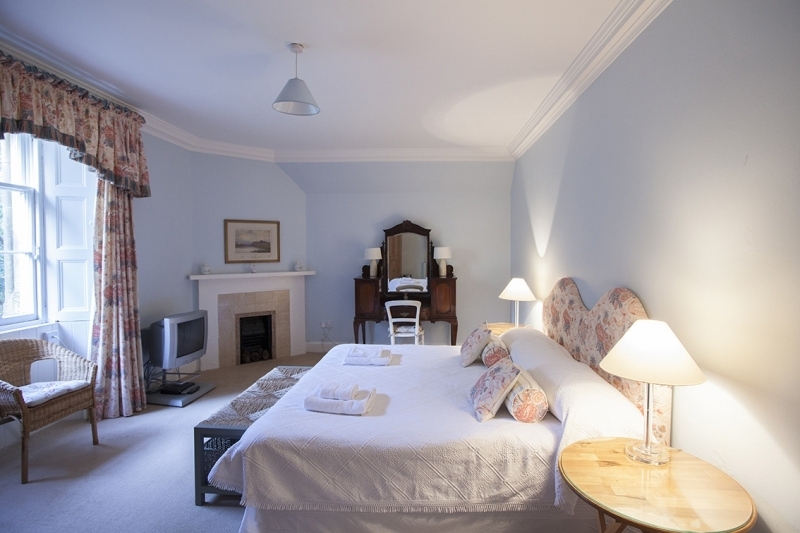 The Chauffeur’s Apartment is located in the Stable Courtyard at Lochinch Castle, which is situated in the heart of a traditional rural Scottish estate. 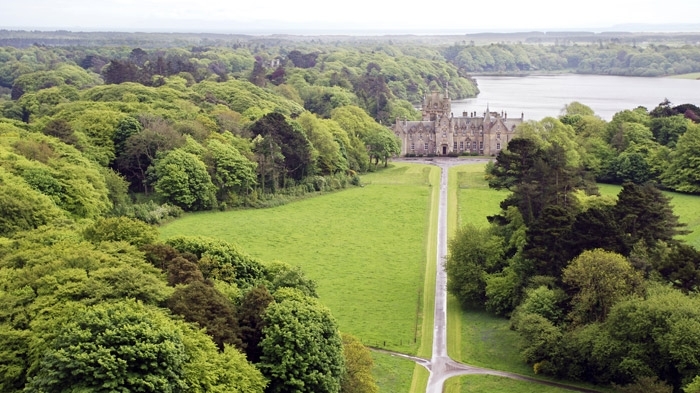 Access is through large wrought iron gates and the main drive, located on the A75, east of Castle Kennedy village. 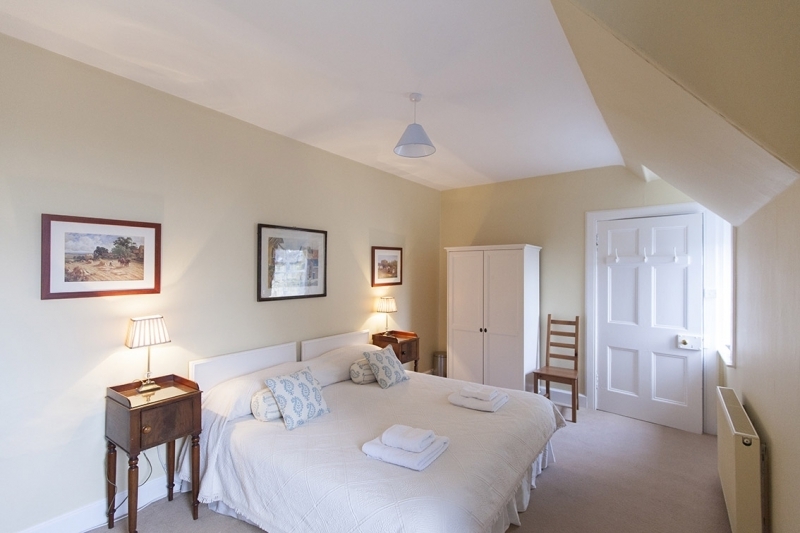 With its own private entrance and car park, the Chauffeur’s Apartment is located on the first floor of the Victorian Stable Courtyard. An entrance hall and staircase lead directly up to the Apartment. 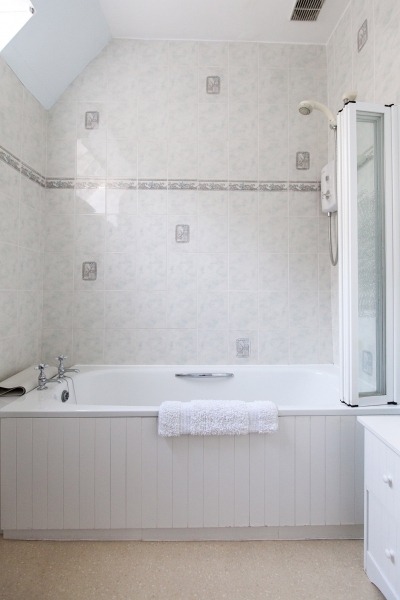 A large entrance hall leads to the main living area, bedroom 3, bathroom, cloakroom, store room and airing cupboard. 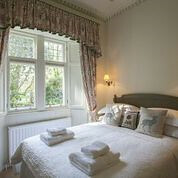 Bedroom 3 is a large double/twin with TV and Victorian furniture. 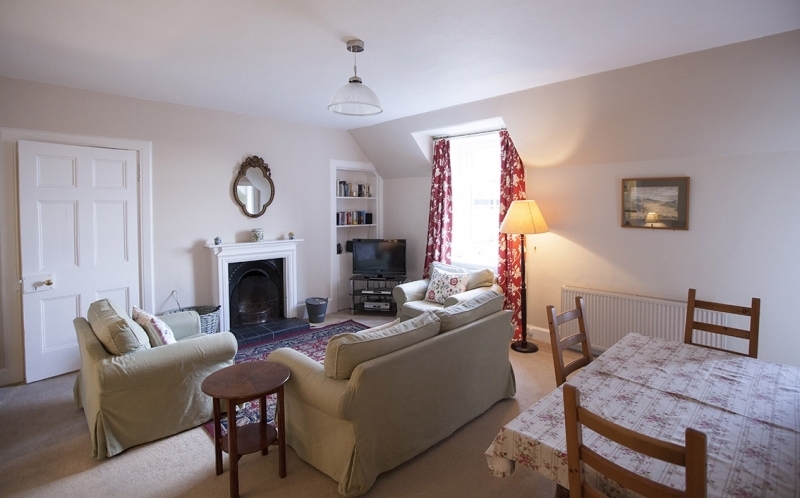 The spacious, light and airy open-plan sitting/dining room has an open log fire, plenty of comfortable seating, TV, DVD and Freeview Digital receiver along with an iPod dock/speaker system and a midi sound system. 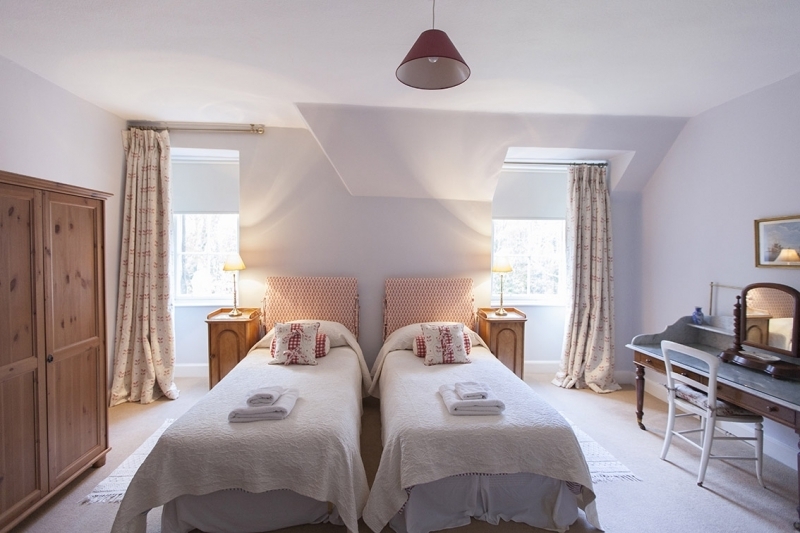 A selection of classic films, books and games should while away a few hours and a dining suite that can seat up to 6 completes the room which overlooks the Victorian Stable Courtyard and beyond to the turreted Castle and White Loch. 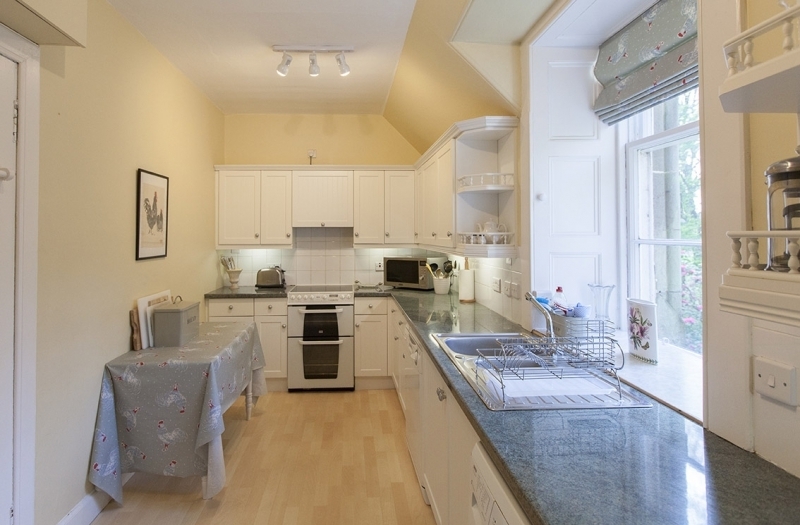 The large, well-equipped kitchen has a dishwasher, washing machine, tumble dryer, fridge, freezer and a microwave oven. Beyond the sitting room are two further bedrooms; a large double/twin is situated to the rear of the building and two large windows look out over attractive rhododendron trees. 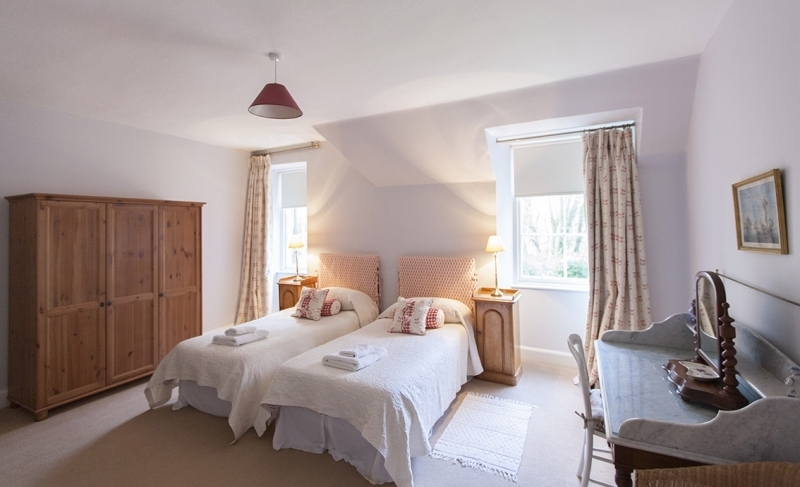 A cosier double/twin bedroom is to the front of the building and looks out over the Victorian Stable Courtyard, Castle and on to White Loch. Outside, there is a car park and log store. Within the car park there is also a very useful shed containing a barbeque, 2 adult and 2 children’s bicycles, extra patio furniture and a sink. This area is perfect to clean and store any fishing/outdoor equipment you bring with you. This is a marvellous time of year to come. Gardens are superb, with wonderful rhododendrons and embothium. The flat was perfect for us. Clean and comfortable and so well designed. We had excellent cooking for large number (Sally Heir 0787 653 6695). A lovely holiday for all the family in two flats. We have just completed a lovely family holiday. It has been a convenient spot to meet Granny form Northern Ireland and us from Manchester. The apartment is spacious and the fire is easy to light. The children also really enjoyed the activities held here in the gardens – Kite Making and Rocket Launching. The wildlife – the estate is alive with action, nuthatch, roe deer, red squirrels, oyster catchers and bull finches. Absolutely lovely. Thank you! Had a lovely few days stay in a great apartment. Very clean and spacious. It is so nice to be able to walk around the gardens and to have it all to yourselves when the visitors have gone. Enjoyed a ride out to Mull of Galloway. Fantastic views on a sunny day. Henrys Bayhouse is recommended on Cairnryan Road, especially on a Sunday. Would love to come here again. Nimmo family staying for a school holiday. Best stay ever! The kids loved it. Thank you, we would like to come again! Our second time here. As usual, the apartment is sparkling, clean and welcoming. Especially nice was the cake left for us and the welcome pack. Gardens looked well looked after and evening walk very enjoyable. Saw ospreys, buzzards, loads of deer, hares, bats, pheasants, red squirrels. Weather has been brilliant. Earl and Countess very friendly (met them twice) and the staff we met also friendly. A true paradise in Scotland. We will be back. My husband and I stayed here for a week and the tranquillity and beauty of the gardens continued to hold us in awe on a daily basis. The only exploration we did off the estate was a tour around the coast to Portpatrick and Port Logan, and down to the Mull of Galloway. Other than this we kept to daily walks (several) around the Lochs and gardens, the longest being around the Black Loch – highly recommended. We look forward to visiting again. We take with us very fond memories and lots of photos. We had another relaxing visit – with wonderful weather. We saw hares, deer and red squirrels from the property. Hope to come back again next year. We were the fortunate ones with nearly two weeks at this wonderful place! Still too short for us! We’re very sad that our holidays are over and but are sure to be back. We have spotted beautiful butterflies, birds of all kinds, pheasants and hares. Our dogs were very pleased with those as well. Ricardo the brave one had a swim in the sea on our way to the Mull of Galloway and even in the Loch. Thanks to everyone, we felt very welcome! 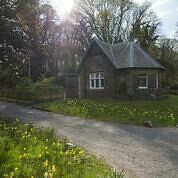 This is a lovely place for a family holiday and really nice place to stay in with brilliant grounds to play in. Love from, Amelia and Alex King, Age 8 and 10 yrs old. What a wonderful relaxing holiday in a place of outstanding beauty, the whole area of the Stair Estate is a real credit to the family and the team of people who work with them. There are so many lovely places to visit in the local area with nice beaches for children to play, particularly Ardwell Bay and Logan Bay. This is our first time at Lochinch Castle and would definitely come back again. The Apartment is warm and welcoming and a very comfortable place to stay, a big thank you for the welcome pack, this was very much appreciated and a kind gesture for a good start to the week. Diana and Ron Merry and Samantha and Andy King, not forgetting Charlie and Toddy our 2 little Westies. During our (too short!) stay, we saw a red squirrel, numerous hares, pheasants and about six red deer! We made the drive over to Stranraer to see St John’s Castle and the Museum (great free activities). We also went to Portpatrick to eat and see the tide pools and the Dunskey Castle ruins (what a hike!). We also ate at the Craignelder Hotel; the food/service was excellent. The garden here onsite are very beautiful and picturesque. The apartment exceeded our expectations and we appreciated the hospitable welcome! 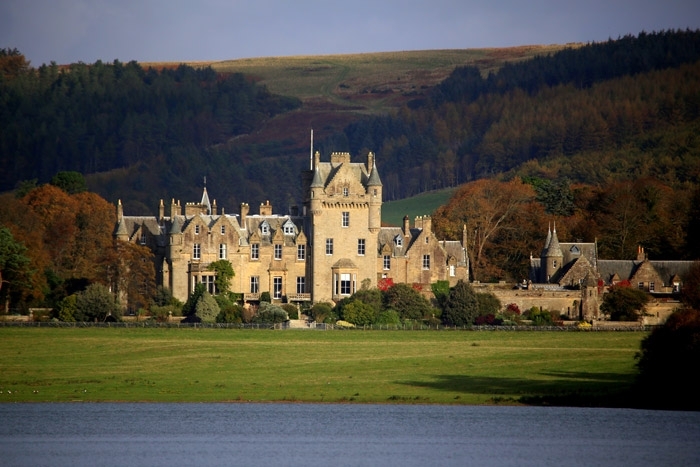 We can now appreciate my yearning to revisit Lochinch Castle after 62 years. I have vivid memories of my time spent here as a child (from 1948 – 1951). Sheer beauty and tranquillity. Thank you for everything including wine and cake. Must return in 2015. This last week has been a most wonderful holiday. The apartment is lovely and comfortable and the delicious chocolate cake and wine were appreciated, also the things in the fridge, thank you. The gardens and grounds are stunning, you can never see enough, it must take so much work and time to keep them looking so good. We saw hares, woodpeckers and of course the geese and goslings. We would love to come again soon. We have had a wonderful time, we went to all the suggested places – Ardwell Bay – was fantastic, a great beach, plenty of space to play and explore Mull of Galloway Lighthouse – really interesting. Port Patrick – lovely restaurants and walks, Castle Kennedy Gardens beautiful. The apartment has been a comfortable, spacious home for the week and we would thoroughly recommend the Estate Tour (we all learnt a lot) and the local fishing (thanks to Muriel for organising it all!). The children will miss calling their holiday home a castle; we would love to come back. 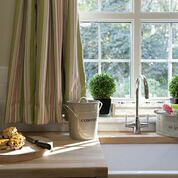 The kitchen is fully equipped with all plates, cutlery, and cooking implements. 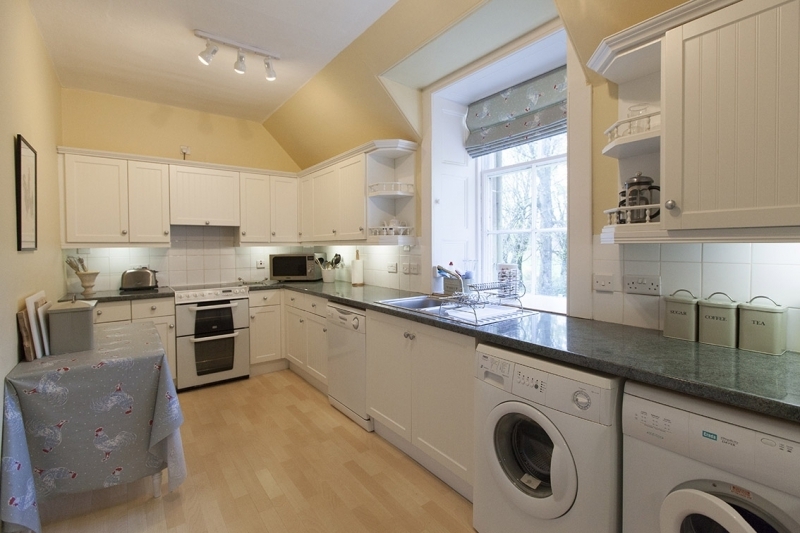 There is a gas hob and an electric oven, a dishwasher and a fridge freezer. 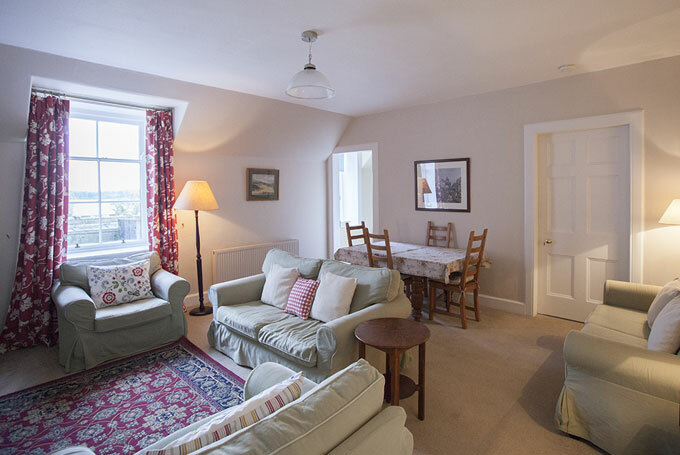 The Chauffeur’s Flat is only partially suitable for people with limited mobility due to the staircase. We recommend that you contact our Housekeeper to confirm specific requirements. 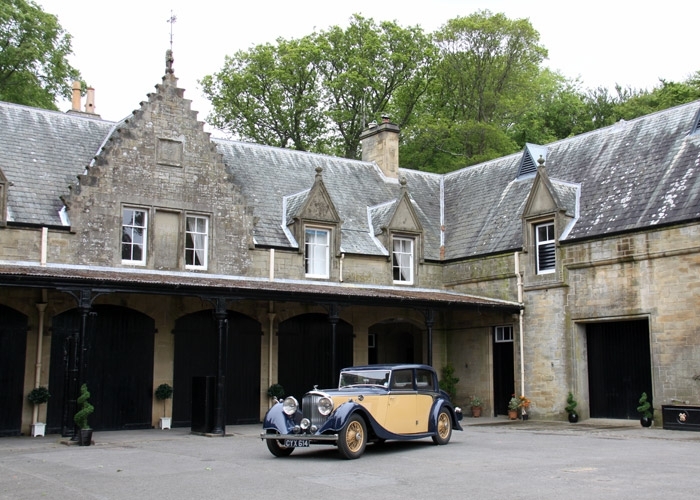 The Chauffeur’s Apartment is located in the picturesque Victorian Stable Courtyard at Lochinch Castle, the private home of the Earl and Countess of Stair. 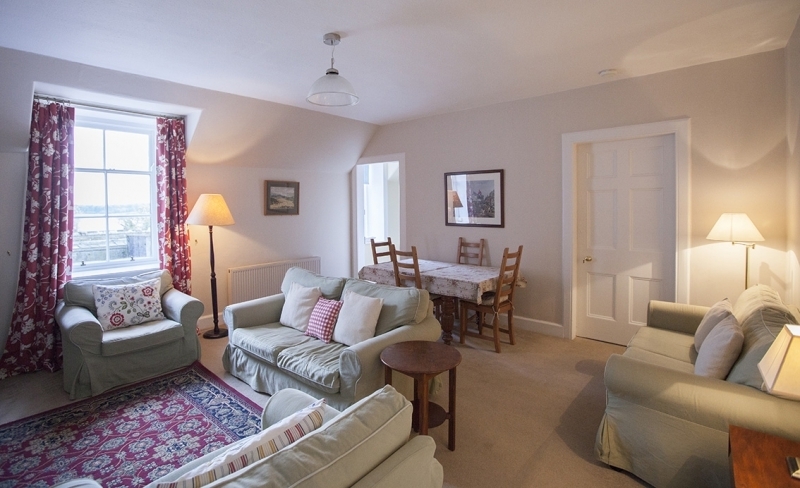 This four star luxury three bedroom self-catering holiday cottage sleeps up to six people.